Ryken developers just couple of days ago updated their MyTube Beta app for Windows Phone and Windows 10 Mobile. 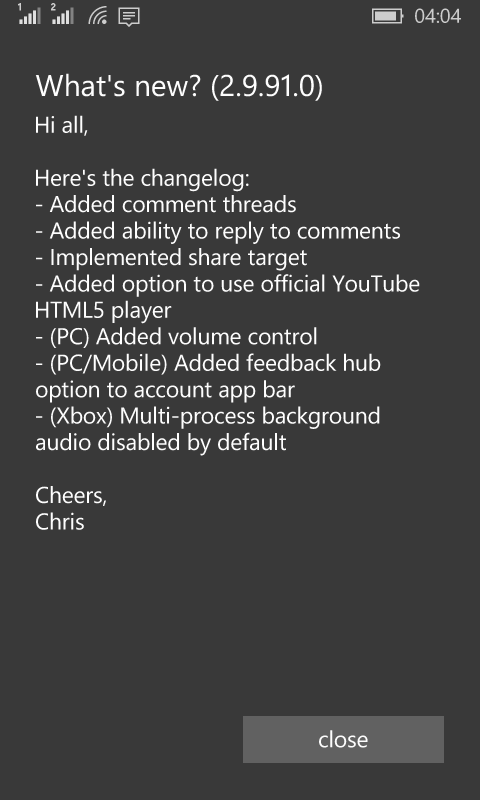 Today the developers have yet again pushed out a new update for its MyTube Beta app for Windows Phone and Windows 10 Mobile. The new update has pushed the app to version 2.9.91.0. The update comes with some new improvements for PC and Mobile along with Xbox which also includes the usual Bug fixes and improvements to the application. The Ryken developers team have been very active in developing their Official and Beta applications for Windows Phone and been supporting the Windows OS. The latest update to the application is currently live and you can get it by clicking the below link.